It's surprisingly small, quiet, and power efficient. The performance should be more than enough for normal desktop and home-theater PC use. 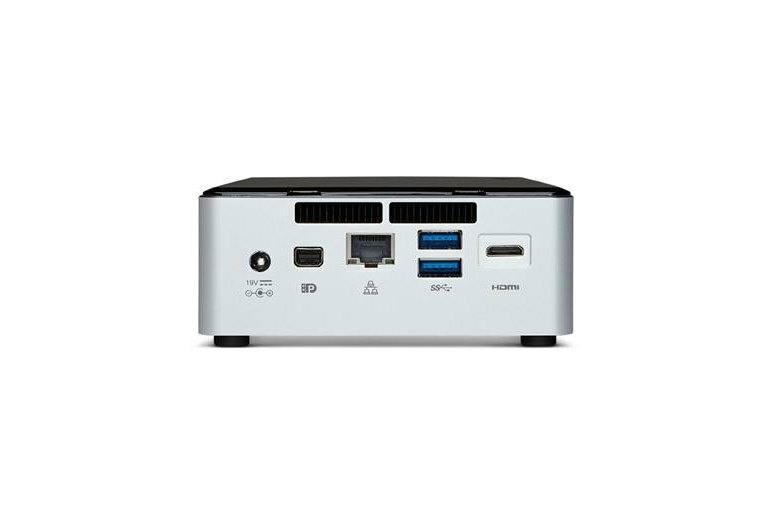 The NUC includes a large number of ports for easy expandability. Intel doesn't include RAM, storage, or an operating system. You have to install those yourself. The cost of RAM, an SSD, and Windows increases the cost substantially. 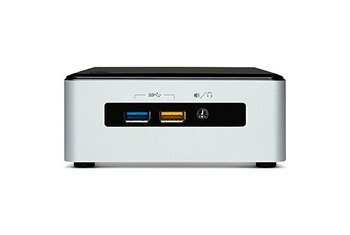 The NUC ships with high-end integrated graphics, but integrated Intel graphics still aren't great for PC gaming. NUC stands for "Next Unit of Computing." 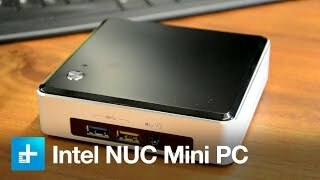 Intel's line of NUC kits is a barebones solution for building a small, quiet, low-power-usage PC. You get a box along with a motherboard and CPU, and you add memory, storage, and operating system afterward. 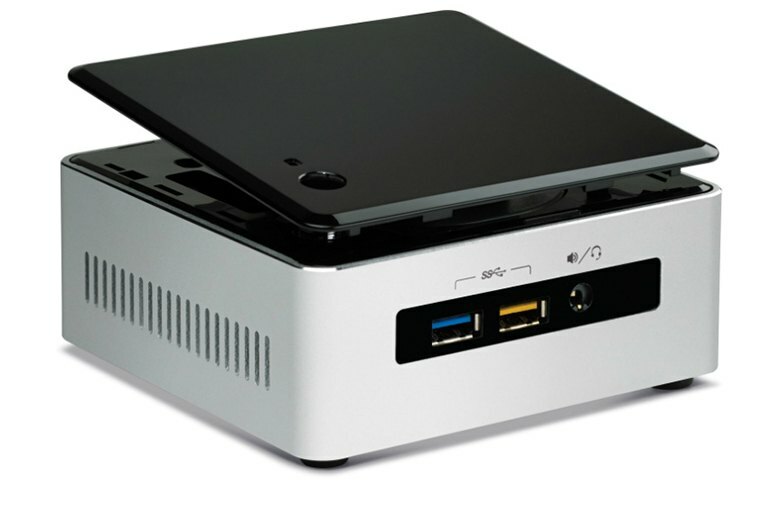 NUC kits are available in different sizes and ship with different CPUs. 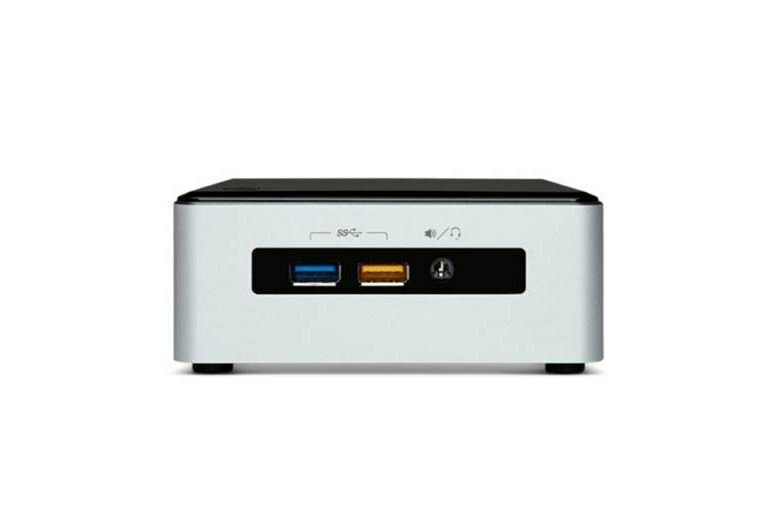 This particular NUC kit comes with a fifth-generation i5 processor, two DDR3L slots for RAM, room for M.2 and 2.5-inch SATA drives, and a mini HDMI port. 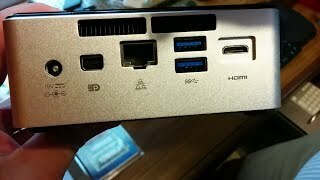 There is no SD card slot. Goodbye Mac Mini. You've been replaced by the NUC. You'll come for the tiny, attractive design, but you'll stay for the strong performance. 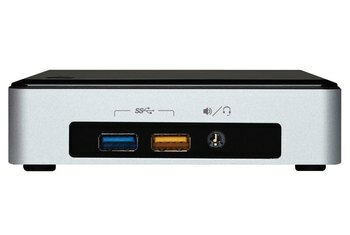 ... if you're willing to put in a little elbow grease and you need a small desktop to use as your primary PC or for your home theater, Intel's Broadwell-powered NUC is the best option yet. Sadly, these compact PCs are not ideal for gaming, but in every other way they prove they are worth the investment: compact case, low emissions, various upgrade options, long warranty and low power consumption. There's a lot to like, and this is a fine interpretation of a modern desktop PC, but requiring end users to add their own finishing touches will ensure the latest NUC remains a niche solution aimed primarily at PC hobbyists.